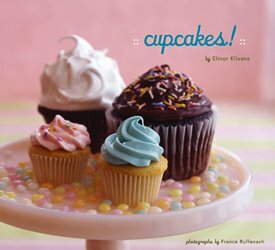 Price: $16.95 For: Him or Her Interests: Baking, Food, Desserts This book will definitely rally up some oohs and ahhs. Just the cover looks delicious. Cupcakes have made a trendy come back and have become girls' bestfriends. They convey an amazing sense of happiness, indulgence and fun in a light-hearted way. Available at Wishingfish.com for $16.95.